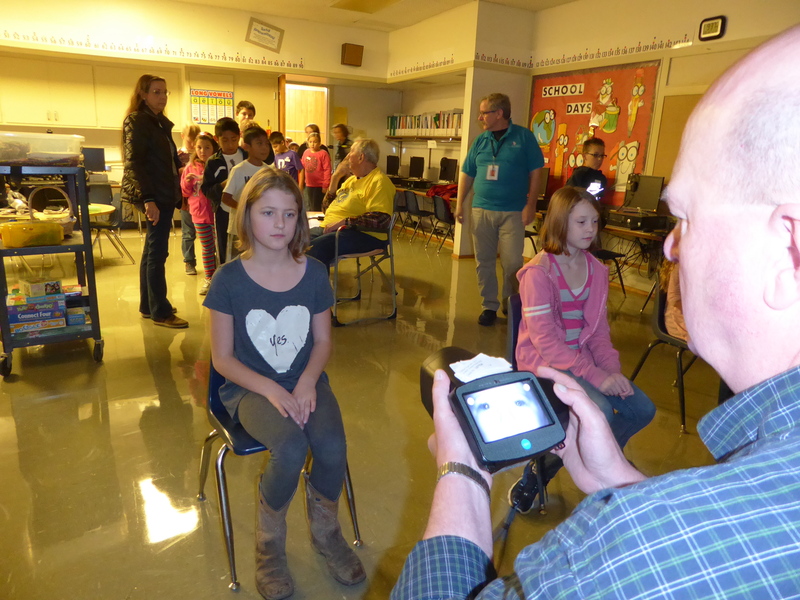 Last week, the East Albany Lions Club conducted a vision screening of all elementary students. Pictured below are students at Tangent Elementary School. 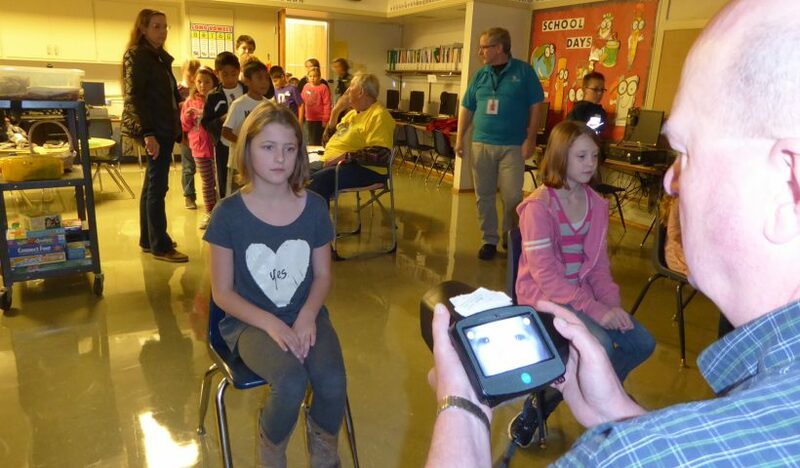 With parent permission, students simply sit for eye measurements taken with a device that is similar in appearance to a camera or a pair of binoculars. The screening is fast and simple and does not require students to read eye charts or look into complicated vision machines. 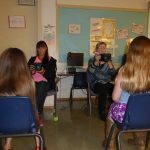 The procedure is so quick that four Lions Club members using four devices can examine an entire class in just 10 minutes. Results are later shared with families. The Lions Club can help needy families obtain eyeglasses if necessary.